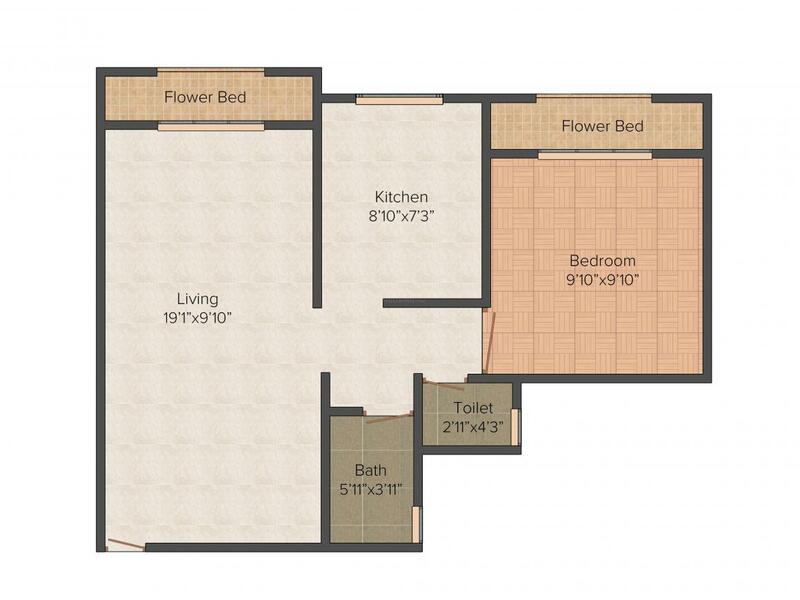 711.00 sqft. - 1261.00 sqft. 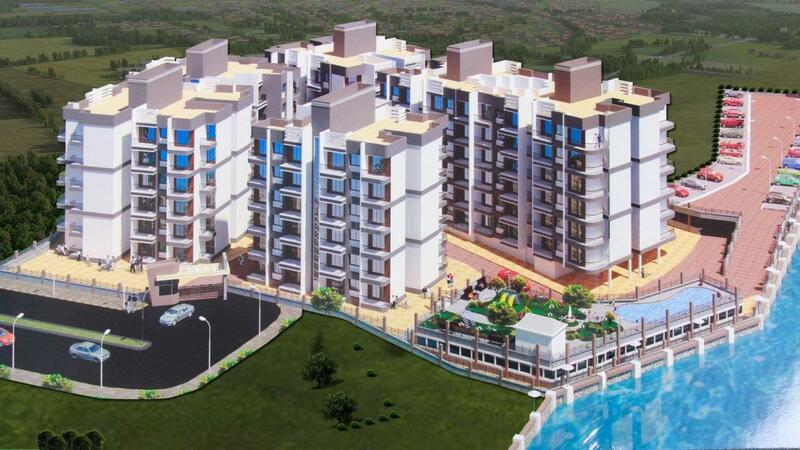 Ganga Ganesh, the majestic residential project welcomes you with extended arm as it is symbol of glamour. The royal mansion is gifted with tallest structure and splendid facilities so that your life will be filled up with perfection and glamour. It is the most treasured and precious residential complex where your family will get superior amenities. After long dayâs work when you feel tired you will feel refreshed here as you engage yourself in recreational activities for avoiding boredom. Ganga Ganesh is truly a mesmerizing project where every moment is cherished with your loved ones. New Panvel is the most populated city in Raigad district in Maharashtra, also known as the gateway of Konkan region. The recent developments of Panvel are in New Panvel. The development of New Panvel was initiated in 1970 to meet the housing requirements of employees working in the nearby industrial MIDC areas. New Panvel is strategically located on the eastern side of the Mumbai Bangalore National Highway (NH-4) and the Mumbai-Pune Expressway. It is well connected to rest of India by road and railway. New Panvel is just adjacent to the proposed Navi Mumbai International airport. A Reliance SEZ is also coming up in the vicinity. It has a number of schools, colleges and hospitals to meet the needs of its residents. It has ICICI & HDFC Banks in close proximity. It is home to many educational institutes like Pillai’s Institute of Information Technology, Engineering, Media Studies & Research, St. Josephs High School, Changu Kana Thakur School and Jr College, DAV Public School, New Horizon Public School & many more. For health care facility in New Panvel, the most notable to mention is Shreyas hospital. Looking at the location, major transportation links, modern civic facilities & amenities, modern healthcare facilities, job opportunities - New Panvel has now become most sought after real estate destination in Navi Mumbai for residential space buyers. 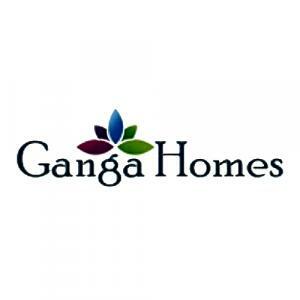 Ganga Homes is a renowned Real Estate Developer with a rich talent of young and dynamic professionals and a deep sense of commitment to deliver the best. The avid team of the group have come together with a mission to provide quality residences with modern amenities and completely developed infrastructure. Being one of the futuristic developer, Ganga Homes abides by its core strengths of Innovation, Quality and Reliability. The company understands the needs of a modern home-buyer and strives continuously to meet the expectations of its customers. With a clear motto of timely delivery of projects at an affordable price, Ganga Homes aspires to be among the leading Real Estate Developers in the Indian marketplace.